Ideal for those that want to pack visits to India’s most revered cultural icons into one compact trip. Starting in the capital Delhi, explore winding narrow streets crammed with ancient architecture and bustling medieval bazaars. Head to Agra to witness the Taj Mahal in all its unrivalled glory, before venturing to the fabled “Pink City” of Jaipur to see the magnificent Amber Fort. On arrival into Delhi Airport, meet with your guide and transfer to your hotel for check-in. Enjoy free time for the remainder of the day. A sprawling, vibrant and sometimes overwhelming city, Delhi is home to over 15 million people and is still growing. From an outsider's perspective, the city is divided into two distinct parts. To the north lie the winding narrow streets and medieval bazaars of the 17th century Mughal capital, Old Delhi. 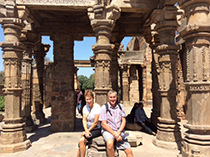 Encompassing the heart of the modern city to the south, New Delhi is by contrast a cosmopolitan and creative metropolis of broad, tree-lined boulevards, parks, museums and international restaurants. Both halves of the city are dotted with astonishing Mughal and British Imperial architecture, Muslim tombs and temples, and an array of magnificent monuments that commemorate the glory of bygone ages. This morning, embark on a tour of Old Delhi with your guide. Explore the city by cycle rickshaw, stopping to take in the most opulent fort and palace of the Mughal Empire - Lal Qila, or the "Red Fort". Encased by towering red sandstone walls, this dramatic UNESCO World Heritage Site was built at the very height of Mughal reign by Emperor Shan Jehan as a grandiose symbol of pomp and power. Pay a visit to the nearby Raj Ghat to see the Mahatma Gandhi memorial before venturing to Jama Masjid to admire the magnificent marble domes and gold spires of the largest mosque in India. After climbing the mosque's southern minaret to soak up sweeping views over Delhi, witness the ancient marketplace of Chandni Chowk come alive as locals prepare for the trading day. Leave ancient India behind you as you board the Delhi Metro and return to New Delhi. 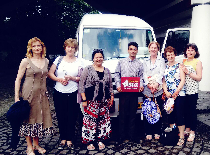 In the afternoon, enjoy a tour of the city. 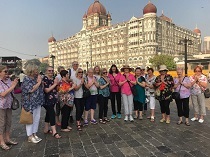 Your tour takes you along the Raj Path or "King's Way" ceremonial avenue, past verdant lawns, canals and trees and the imposing Parliament House and India Gate monument. 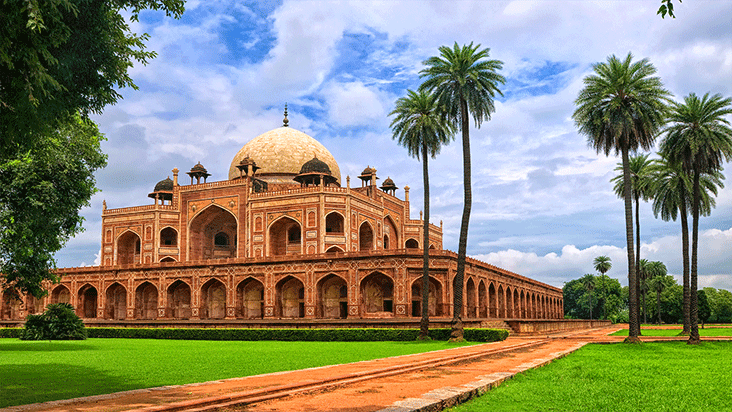 Explore the elegant Humayun Tomb and its surrounding 30 acre, Persian-style garden and inspect the intricate Arabic inscriptions and carvings that cover the soaring tower of Qutub Minar. In the evening, enjoy free time. 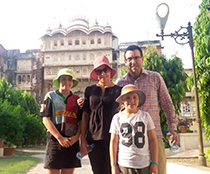 Drive to Agra with your guide and check-in to hotel on arrival. A leading centre of art, science and culture during the 16th and 17th centuries, ancient Agra was a thriving Mughal capital under the reign of Akbar the Great. 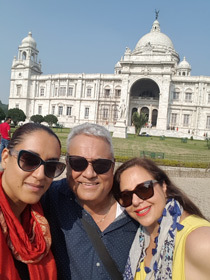 Today, it's a huge and dynamic city, characterised by its lively and often chaotic marketplace, its incredible fort, sprinkling of intriguing tombs and mausoleums, and the untouchable beauty of the Taj Mahal. Enjoy the evening free at leisure. 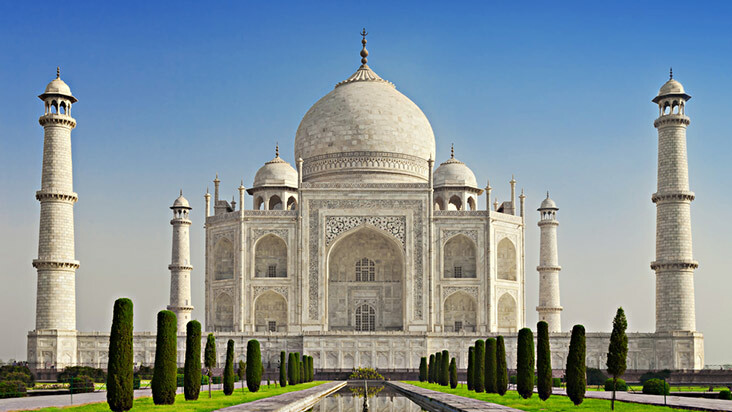 Tonight, enjoy a live cultural show dedicated to "The Monument of Love", the Taj Mahal. Featuring state of the art laser light effects, surround sound, vibrant costumes and a huge marble replica of the Taj Mahal, the show brings to life the intense romance that inspired the construction of one of the world's most cherished architectural wonders. Today you will have the chance to explore two of India's most spectacular architectural marvels, Agra Fort and the Taj Mahal. 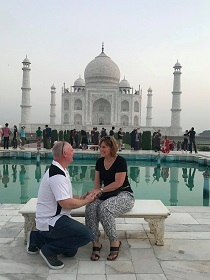 The awe inspiring Taj Mahal, undoubtedly the masterpiece of Mughal architecture, stands at the far northern end of an extensive walled garden overlooking the tranquil Yamuna River. Although its layout follows a strict Islamic theme, this immense mausoleum is above all, a monument to love. Commissioned by Shah Jahan to enshrine the body of his favourite wife, it is believed to have taken 20,000 craftsmen working around the clock 20 years to complete. This painstaking commitment to perfection is reflected in every aspect of the complex's design; from the precise, geometric planning of the surrounding Paradise Gardens, to the reflective quality of the marble itself which changes hue with the movement of the sun, symbolising the presence of Allah. Wander the exquisite 17 hectare gardens and take time to soak up the almost overwhelming beauty of this wonder of the world. Located just a few kilometres north of its sister monument the Taj Mahal, Agra Fort occupies a massive 94 acres on the banks of the Yamuna River. Although the fort was originally designed as a military structure by Emperor Akbar, it was later transformed into a magnificent palace by Emperor Shah Jahan, and eventually served as his prison when son Aurangzeb seized power in 1658. Explore the fort's chambers and cloistered courtyards, admiring the intricate white marble carvings of the Nagina Masjid and Moti Masjid and stopping to take in breathtaking views of the Taj Mahal from the numerous lofty balconies and pavilions. 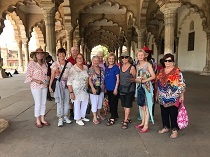 In the evening, enjoy free time to explore Agra, perhaps browsing the many lively local bazaars selling marble handicrafts, jewellery and leather ware. This morning leave for Jaipur, stopping en route to visit the magnificent ghost city of Fatehpur Sikri. Perched on a rocky crest just a short drive southwest of Agra, the well-preserved ruins of this atmospheric site were once the short-lived imperial capital of Mughal emperor Akbar. Shortly after the emperor's death in 1585, the entire city was suddenly abandoned for reasons that still remain uncertain. 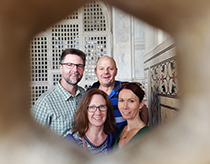 Venture though Agra Gate and ponder the enigma for yourself as you explore the grandiose red sandstone palaces, monuments and mosques that remain of this mysterious, ill-fated city. 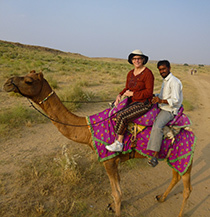 Continue to Jaipur, and enjoy free time to explore for the rest of the day. Jaipur, the capital of Rajasthan, is romantically nicknamed the "Pink City" in reference to the distinctly coloured stucco buildings that line the streets of the Old City. Established in 1727 by Jai Singh II of the Kachwaha family, the city is now the state's most prosperous and rapidly developing city, but there are frequent reminders of its intriguing royal past in the flamboyant palaces, medieval bazaars and hilltop forts that stud its streets and outskirts. In the morning, drive up the steep hill to the Amber Fort by jeep. Situated high above Maota Lake, this imposing structure was begun in 1592 by Maharaja Man Singh and later extended by the Jai Singhs. Inside its impressive, impregnable walls, the fortress-palace is a four storey maze of cool, solid marble rooms, twisting staircases, and tiny balconies that peer out on the rugged landscape. As you move between rooms adorned with ornate marble carvings, gilded ceilings and intricately painted doors, it's not difficult to visualize a life of pomp and grandeur at the height of the kingdom's powers. In the afternoon, take a tour of Jaipur with your guide. Discover the fascinating blend of traditional Rajasthani and Mughal Art and intriguing royal relics at the City Palace Museum before visiting Jantar Mantar observatory to see the huge, complex and still accurate, stone astronomical devices stored here. The unique Hawal Mahal or "Palace of Winds" is Jaipur's most distinctive landmark, a quirky five storey facade decked with hundreds of tiny screened windows and balconies. In the early evening, soak up the sights and sounds of a lively local street market. Itinerary Option: Experience an unforgettable sunrise in Jaipur on a serene Hot Air Balloon ride. 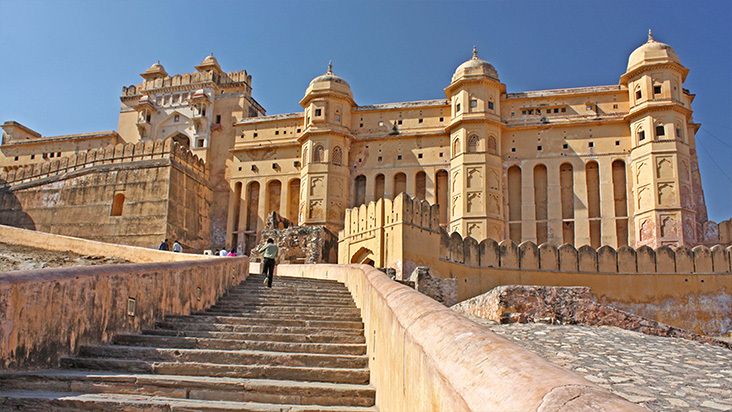 Enjoy breath-taking views of the Amber Fort, Jaipur city and the surrounding area as you float peacefully along. Discuss options with our Asia experts, see below for more details. 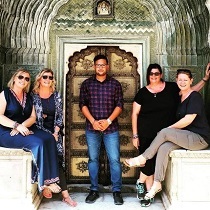 Enjoy a free morning in Jaipur, perhaps venturing to the Temple of the Sun God, just a short drive east of Jaipur, to explore its cluster of temples and kunds (sacred water tanks) or scaling the spiral staircase which winds up to the top of Iswari Minar Swarga Sal minaret for superb views over the old city. In the afternoon, drive back to Delhi. On arrival, transfer to your airport for your departure flight. 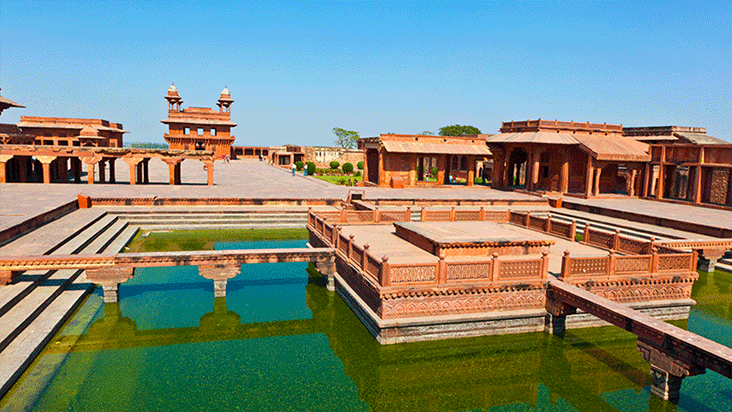 Itinerary Upgrade: Skip the 5 hours drive and ask our travel experts to upgrade to a flight from Jaipur to Delhi. Why not taking a short flight over to Bhutan or Nepal when already traveling to the Indian Subcontinent? Our Jetset Bhutan & Nepal itineraries provide an amazing introduction to these fascinating countries. Float gently over the mighty Amber Fort and the surrounding area. Take in the spectacular sunrise as you drift over the Aravali mountain range and get a birds eye view of traditional villages and colourful fields in one of India’s most spectacular locations. You’ll fly with India’s first fully licensed and approved Hot Air Balloon company, offering a unique & amazing balloon safari experience in Jaipur, with highly experienced international pilots. Enjoy tea, coffee and light refreshments whilst you watch the spectacle of the balloons being inflated and prepared before your hour long flight, touching down to the welcoming smiles and friendly greetings of the local villagers. Hotels/lodges each night of the itinerary (excluding your departure day). • Jeep ride at Amber fort. All nationalities need to apply for an Indian visa in advance. Give yourself at least 4 weeks. The Indian Government has advised that from December 2014, all visa applicants will need to be physically present at a visa application centre, by appointment, to submit their applications and biometric data, including fingerprints and facial imagery. ALL Australian travellers to India will need to personally attend their nearest consulate to complete their visa formalities. There is NO visa on arrival in India for all nationalities. Indian visas CANNOT be obtained in Nepal.